Harbour City has been consecutively 17 years to support Hong Kong Blood Cancer Foundation to raise funds during Christmas since 2002. 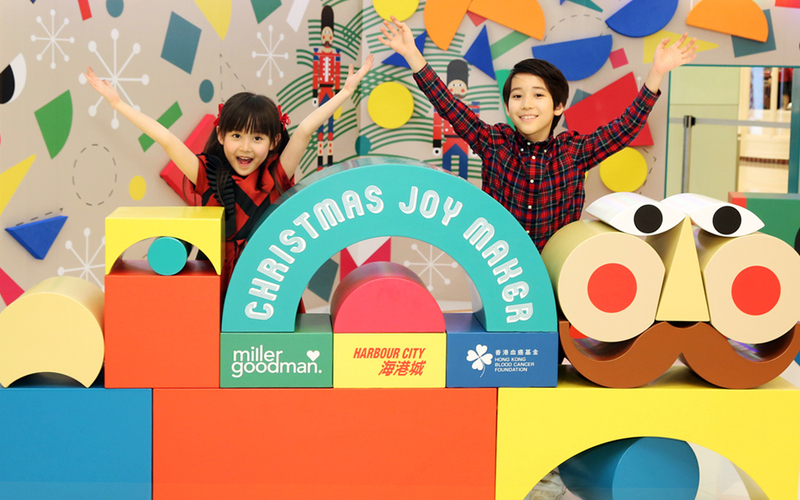 This year, Harbour City has invited Miller Goodman, an awarded creative toy brand from London, to host their first solo exhibition in Hong Kong and invite everyone to experience a whimsical Christmas! Miller Goodman will be bringing the classic, “The Nutcracker and the Mouse King” into life and turn the mall into fanciful scenes of the story! Visit the real home of Nutcracker – the land of Sweets. 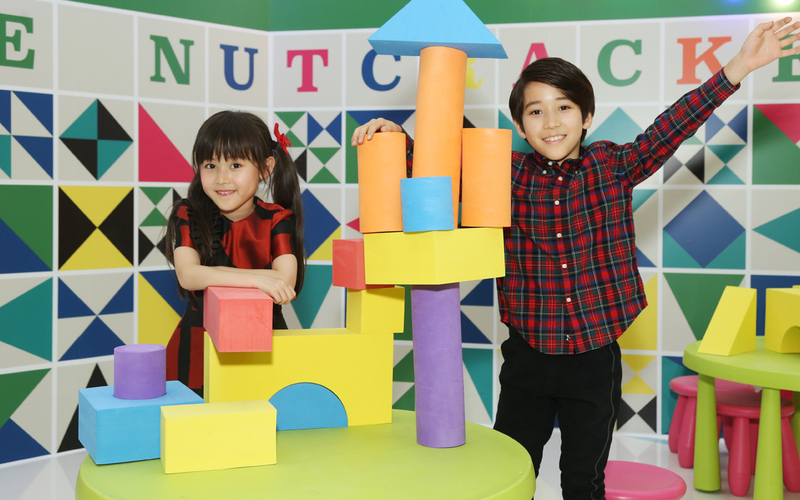 You may find your magical dream comes true while walking to the 15-feet tall building blocks castle at Atrium II, Gateway Arcade. The human-sized Nutcracker Army in their uniquely festive and playful looks will send you the warmest welcome. You can also create personalized e-cards and dance with the adorable Nutcracker Army in the virtual world! The story starts in the house of Clara, staged at Atrium, Ocean Terminal. 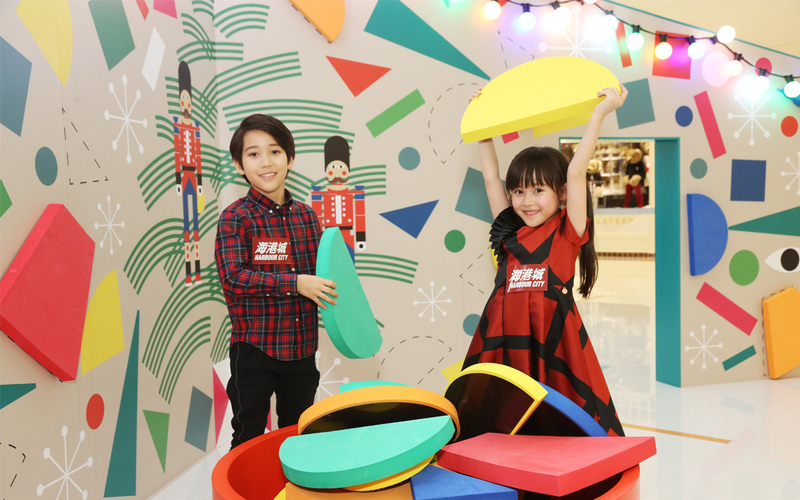 Nutcracker leads shopper into battle against the fierce Mouse King by building up his army of toy soldiers with the blocks specially designed by Miller Goodman. 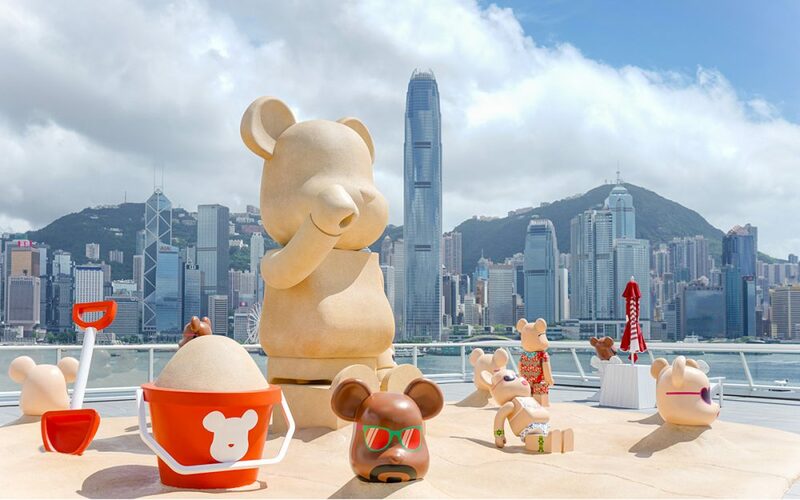 Harbour City has invited Miller Goodman to design a playful and inspirational perpetual calendar with three happy experiences. 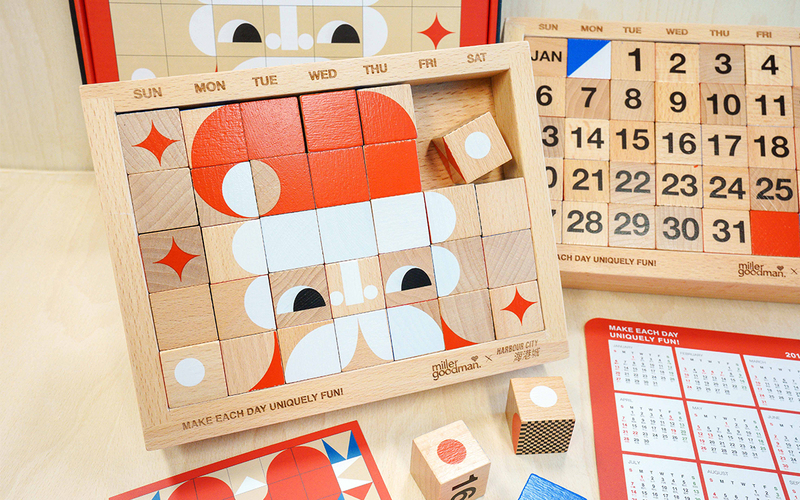 Not only as a calendar featuring month-day combinations, but you can also enjoy the Facemaker and matching game with friends! Let’s open up your imagination and be a Joy Maker! All proceeds of the charity sale will be donated to the Hong Kong Blood Cancer Foundation for those in need. This Christmas gift will not only be perfect for your personal use, but also for friends and family. Upon same-day designated electronic payment (including EPS, Credit Card, Octopus card, Apple Pay, Android Pay, WeChat Pay & Alipay) of HK$2,000 or above at any retail and F&B outlets* of Harbour City (Maximum 2 outlets), you are entitled to redeem one set of calendar by presenting the corresponding machine-printed sales receipt(s) and original electronic payment slip(s) and donating HK$200 in cash to Hong Kong Blood Cancer Foundation. Light up the holiday vibe! With the guidance of art teachers, children can create their own imaginative scene of the story, The Nutcracker in a wooden box and decorate it with the Christmas accessories and string lights. Building blocks are friends of every child. Children can create their favorite animal figures with little wooden blocks in the Joyful Animal Maker Workshop. 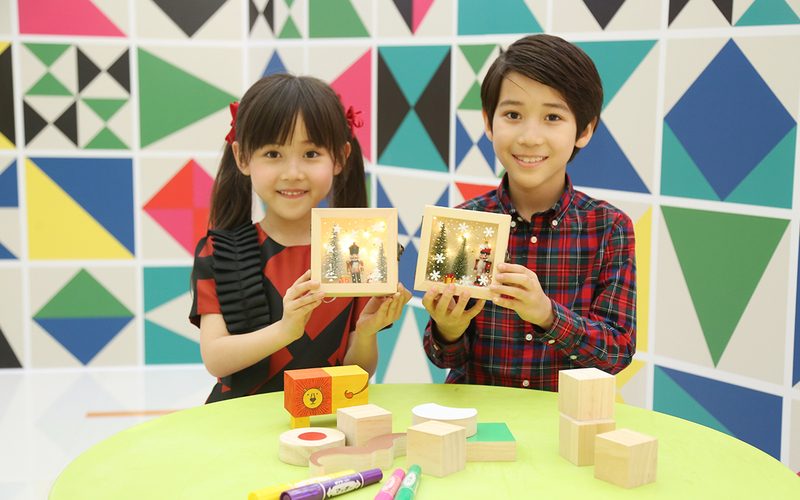 Let’s enjoy the fun of making craft with friends and families! Register at the venue 10 minutes prior to the session start time with on-spot donation of HK$100. 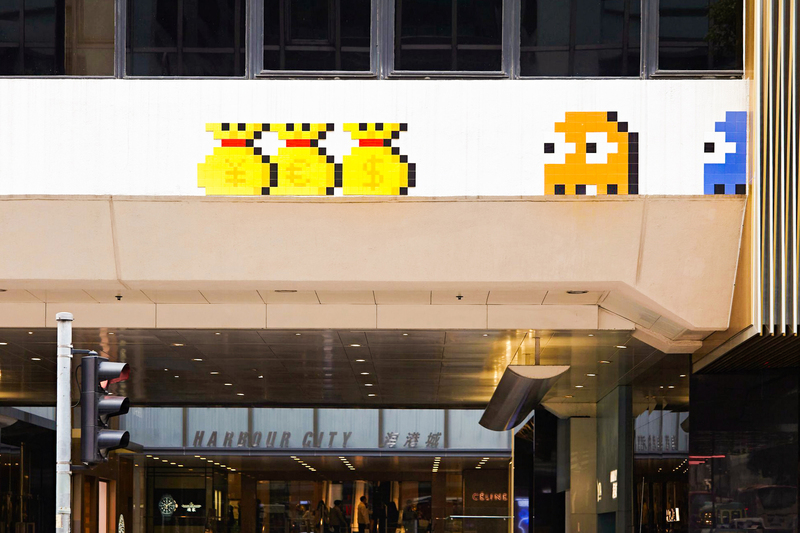 Register at the venue 10 minutes prior to the session start time with on-spot donation of HK$40. OR Presentation of a machine-printed receipt* on the same-day purchase of HK$400 or above at any one outlet in Ground Floor, Ocean Terminal. Remark: The quotas are available on a first-come, first-served basis and while stocks last.